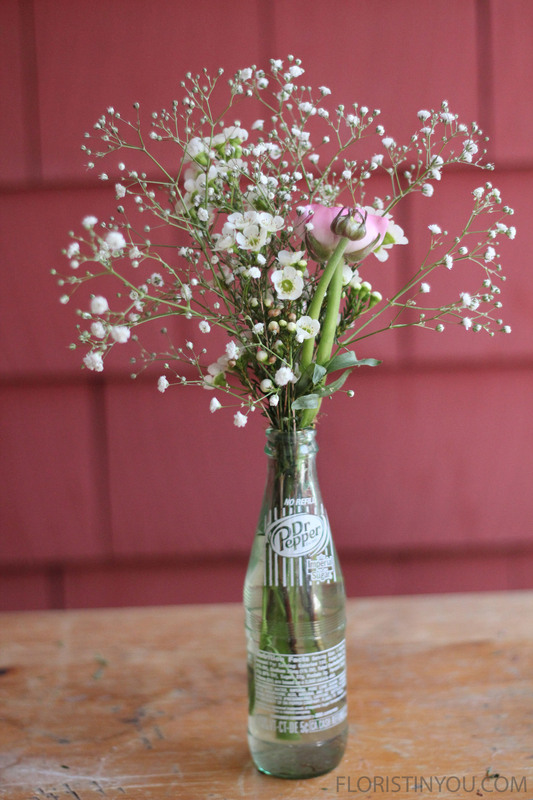 This is a romantic and fun vintage arrangement that is inexpensive to make. Ranunculus are perfect for this arrangement. If however, they are out of season you could substitute a flower similar in shape and size. You could use a small rose or camellia from you garden or your neighbor's garden. If you can find the baby's breath with the large flower use it. It's more dramatic because of the size of the flowers. 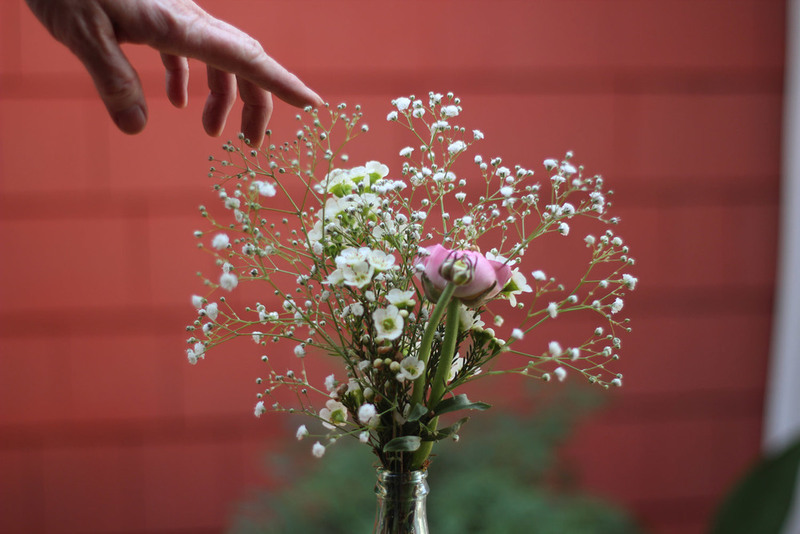 The white wax flowers in this arrangement are cut to the same length as the ranunculus stems and frame the flower and bud. The baby's breath creates on aura around them. The vertical proportions between the vase and the flowers are 1/2 to 1/2. That is, the flowers take up as much visual space in height, as the soda bottle. The horizontal proportions follow the Greek rule known as the "Golden Mean," a ratio of 1/3 to 2/3rds. That is, the soda bottle takes up 1/3 of the width of the arrangement. OK. Now that you have your soda bottle and flowers, this will be a snap. Find a glass soda bottle like this one with green glass and white lettering. Fill with water up to 2 inches below neck. 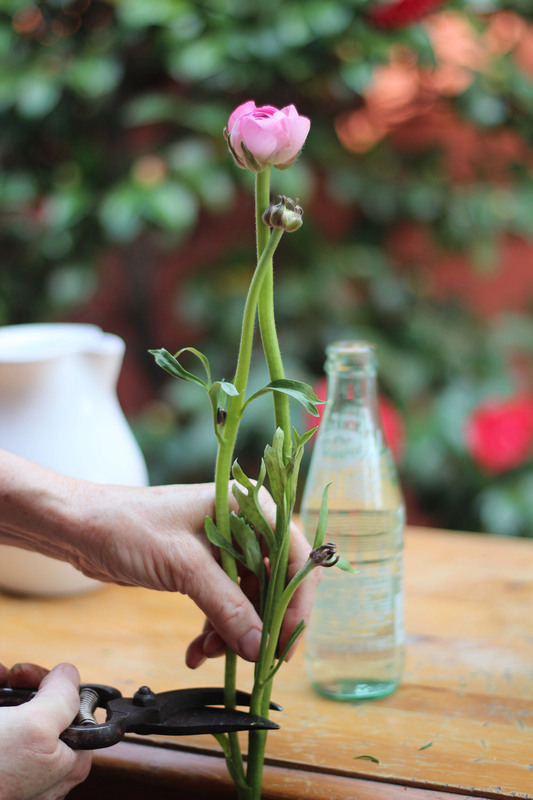 Hold flower next to bottle for cut line. 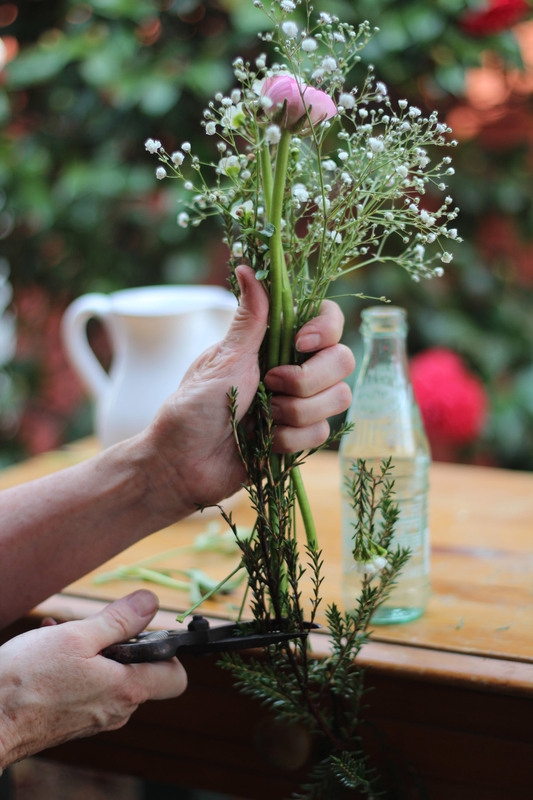 Next measure the baby's breath and cut. It should be a couple of inches higher than the ranunculus. Remove all leaves that will be below the water. Add baby's breath. It should be 2 inches higher. 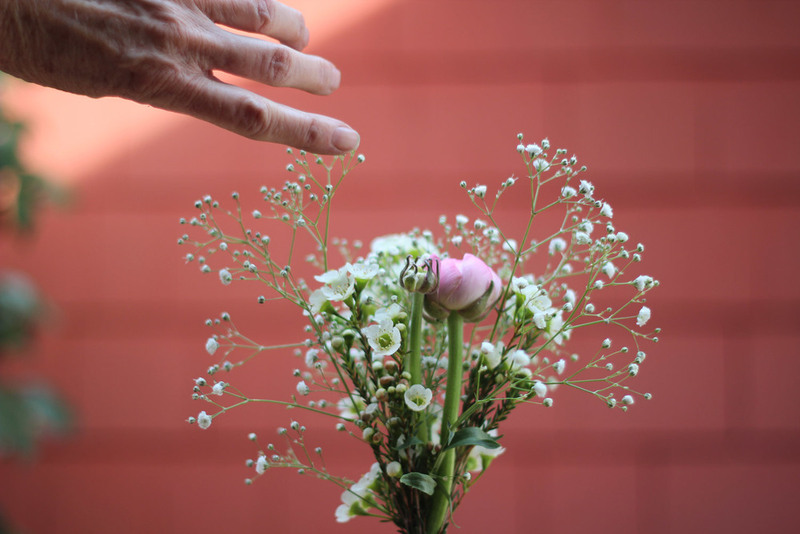 Add wax flowers at same height as the ranunculus. Cut stems. Strip leaves below water line. Let's fill this gap with another piece of baby's breath. Wonderful with a recycled glass vases grouping.